Good times over at Samsung HQ where record profits for the company have just been confirmed; its mobile phone business raked in 93% more for the three months ending in September 2012 than a year ago. The dazzling company figures come in at 8.10 trillion won operating profit (that's around £4.5 billion, AU$7.1 billion, US$7.3 billion), comfortably beating analysts' estimates. That ridiculous bank balance is largely thanks to the Samsung Galaxy S3, launched in May, and Samsung Galaxy Note which both had a strong quarters. 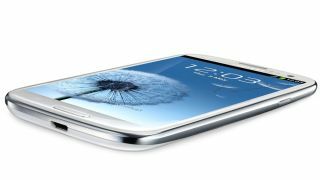 It comes as no great surprise that the Galaxy S3 raked in so much cash; it hit 20 million sales in under 100 days with Europe leading the S3 way by scooping up 6 million of them. It's not all champagne and diamond necklaces for the company though; other areas of the business are struggling as the effects of reduced orders for chips and screen displays are felt. One big customer, at least, is cutting back: Apple. The two companies are slowly but surely severing ties after a year's worth of vicious patent battles and sniping adverts around the world. Another Apple-effect that Samsung will have to account for in the future is the $1 billion court payout that it is currently appealing against. But hey, what's $1 billion when you have another $6.3 billion burning a hole in your bank vault?